Focus on relaxed living as you entertain in style on this enormous terrace style balcony. 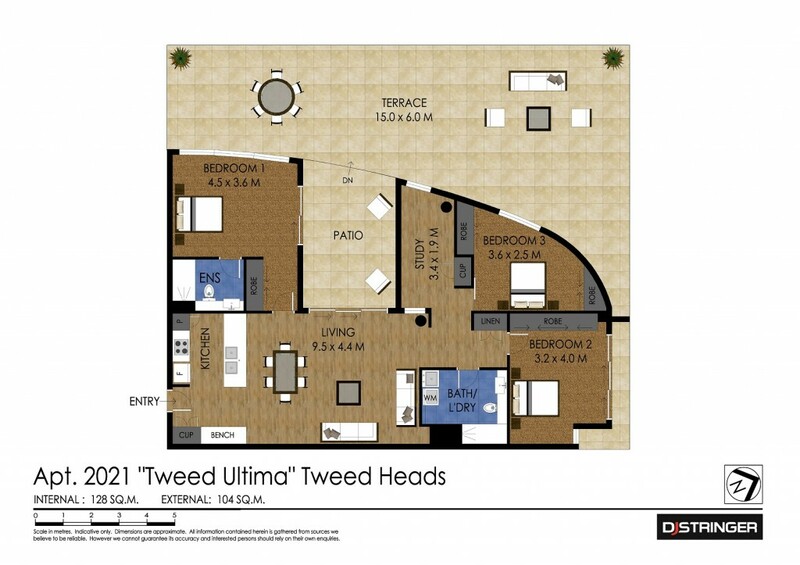 Enjoy this large (3) bedroom (1) study apartment, located on the 2nd floor of Tweed Ultima apartments right in the hub of the Coolangatta & Tweed precinct. Located in a super convenient location, you will enjoy local conveniences right out your front door.